Hollywood, California — October 8, 2016 — Brasov Int’l Film Festival & Market, the most important and renowned nonviolent film festival in the world, opens for submissions to its 6th annual edition to be held 14 – 24 September 2017. 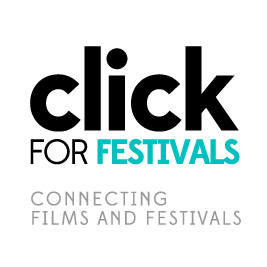 The Festival accepts features, documentaries, shorts and animation films. The Submission deadline is August 11, 2017. The Festival has been recognized by the IMDB and all the awards handed each year are listed there. Visit the Festival’s IMDB profile. Brasov, Romania — March 29, 2016 — For the first time this year, Brasov International Film Festival & Market accepts animation films. All movies must be nonviolent. In its 5th edition, the Festival is being held September 1 – 11 in the beautiful resort city of Brasov, Transylvania. BRIFF is the most important and renowned nonviolent film festival in the world. For the second year in a row, in partnership with the Matthew Martino Benevolent Fund, the Festival is also handing out the ‘MMBF Rising Star Award’ to an emerging filmmaker. The Award consists of a $250 cash prize and other perks offered by the Matthew Martino Benevolent Fund of London, UK. Brasov International Film Festival was founded by film director Bruno Pischiutta and producer Daria Trifu in 2012 to showcase nonviolent, main stream motion pictures and to show that those movies are not only capable of great international success but they are also in high demand by the public. Some of the films that have been awarded at Brasov International Film Festival gained access to theatrical releases and have competed for Academy Award®’s nomination consideration. Submit your feature film, short or documentary! Brasov, Romania — March 5, 2016 — Starting this year, in addition to feature films, Brasov International Film Festival & Market welcomes feature documentaries, short documentaries and live action short films. All movies must be nonviolent. In its 5th edition, the Festival is being held September 1 – 11 in the beautiful resort city of Brasov, Romania. BRIFF is the most important and renowned nonviolent film festival in the world. Films that have been awarded at Brasov International Film Festival gained access to theatrical releases and have competed for Academy Award®’s nomination consideration. The International Film Workshops 2014, organized by Daria Trifu and taught by film director Bruno Pischiutta in English language, ended on September 14 with the graduation ceremony of the 13 Romanian and international students who have attended the third edition of the program in Brasov, Romania. At the ceremony the students received their Certificates of Attendance. This was also the last edition of the Workshops, due to the fact that the courses have been filmed and will be distributed worldwide on DVD, which could be produced in several languages and give, in this way, access to the Workshops to many young talents worldwide without coming all the way to Brasov. The Workshops offer the necessary theoretical knowledge to start a film career, at international level, as film actors, film writers, film directors and film producers, and were completely free for the students. After the presentation of the awards the evening continued with the last screening, out of competition, of the Global Film Studio’s successful feature documentary BRASOV: PROBABLY THE BEST CITY IN THE WORLD, produced by Brasov Film Center. This documentary which was presented at the ‘Romanian Cinema Week’ festival held in Havana, Cuba, is unanimously recognized as the best documentary done about the city of Brasov. The last night of the Festival was a great success and the room resounded with the thunderous applause from a very enthusiastic audience who attended this exclusive event. The success scored by the third edition of the Brasov International Film Festival & Market has been already made public in London and Bangladesh. The Festival will continue next year, 2015, with its fourth edition in Brasov. Brasov, Romania — September 14, 2014 – For immediate release – The 3rd edition of Brasov International Film Festival & Market (www.brasovfilmfestival.com) continued today with a full house, cameras and personalities at the award gala night, the last night of the Fesival. The international film stars, who are members of the production team of the film in competition GLOW OF THE FIREFLY, the Executive Producer Mr Ebne Hasan Khan coming from London, and the film’s Producer and Managing Director of Impress Telefilm Ltd. Mr Faridur Reza and Mrs Kona Reza, Executive Producer at Impress Telefilm Ltd. coming from Bangladesh, were present at the Festival. • Audience Award – ‘Once Upon a Fish’ (Dominican Republic). After the presentation of the awards the evening continued with the last screening, out of competition, of the Global Film Studio’s successful feature documentary BRASOV: PROBABLY THE BEST CITY IN THE WORLD, produced by Brasov Film Center. This documentary which was presented at the ‘Romanian Cinema Week’ festival held in Havana, Cuba, is unanimously recognized as the best documentary done about the city of Brasov. The last night of the Festival was a great success and the room resounded with the thunderous applause. At the end, Director of the Festival Daria Trifu declared the third edition of the Festival closed. Between September 12 and 14 the Festival took place at the elegant Cubix Design Hotel, one of the top hotels in Transylvania. Brasov International Film Festival & Market thanks to the following partners: RMN Stars, Nissa, Hotel Bella Muzica, 24-Fun, Wigo.ro, Metropola and Oktoberfest Brasov. Each year the most important and renowned nonviolent Film Festival in the world is dedicated to a cause. This year the theme of the Festival is Africa, a continent full of problems and promises.